Assistant Station Master Recruitment 2018 – Check complete details of RRB ASM Notification 2018 here. Get to know about the important dates, vacancies, eligibility and much more. 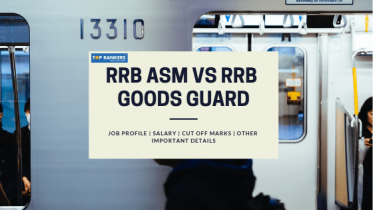 The Railway Recruitment Board (RRB) organizes several RRB Recruitment for all the interested and eligible candidates who want to pursue their career in the Indian Railways as an Assistant Station Master (ASM). This is again a very good news for all the aspirants as this year RRB is conducting multiple recruitment drives such as RRB ALP & Technicians, RRC Group D, etc. The latest one is the Assistant Station Master (ASM) Recruitment. You will be getting all the updates details of RRB ASM Notification 2018 in this article including the important dates, no. Of expected vacancies eligibility criteria, application fee and many more. As the Indian Railways is considered as the biggest recruiter in India, there must be a huge number of vacancies. 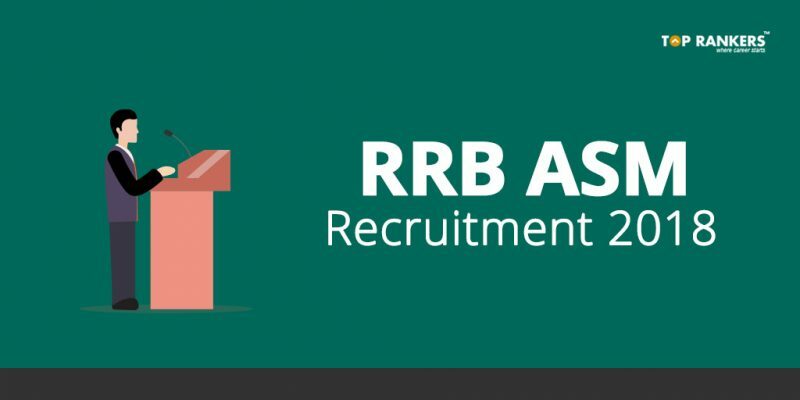 This year, around 50,000 vacancies are expected to be released by RRB for ASM posts. No official notification regarding the notification has been released yet but can be released at any moment soon. Once the official notification of RRB ASM notification is out for the year 2018, we will publish here. The total number of vacancies for RRB ASM Notification is 50,000. However, the official RRB ASM Exam Pattern & Selection Process will be confirmed once the Official Notification is getting released the Railway Board. 1st stage computer-based test (CBT) consists of General Science, Mathematics and General Intelligence & Reasoning sections for 75 marks and It will be held for the duration of 1 hour. A total of 75 multiple choice based questions to be given and each question equally carries 1 mark. The syllabus under this shall cover Physics, Chemistry and Life Sciences of the 10th standard level. Testing your knowledge on current affairs in Science & Technology, Sports, Culture, Personalities, Economics, Politics and other subjects of importance. Those candidates whose application get accepted by the examination conducting authority i.e the Railway Recruitment Board (RRB), can get their admit card for RRB ASM exam. RRB ASM admit card 2018 for online test will be available in the second week of June 2018. RRB ASM admit card 2018 or call letter for online exam (Phase-I) will available to download from 10 days before the exam date. All the candidates need to download their admit cards in online only from the respective railway board official website as the authority doesn’t send any hard copy of it through post. No candidate will be allowed to appear in the examination hall without a valid RRB ASM Admit Card 2018. To download RRB ASM Admit Card 2018, candidates should follow the given steps. Select the region from which you are appearing or the board and click on download call letter. Enter required details such as registration number and date of birth then click on “submit”. Finally, download your generated e-call letter or RRB ASM Admit card 2018 and take a print out. The RRB ASM result 2018 likely to be out in the last week of August 2018. Those aspirants who have written the exam well will be passed will only be eligible for the Document Verification and Medical fitness test. The RRB ASM results will be published on the concerned regional website of Railway recruitment cell board. Candidates have to login with their registration number and password (birth date) to know the status of result. Candidates can check their RRB ASM result 2018 by opening RRB regional website. A final merit list will also be available on concerned RRB regional websites after completion of the document verification process and medical standard test. RRB ASM cut off 2018 to be decided by concern railway recruitment board based on candidates performance in written examination. The following table represents the previously conducted RRB ASM cut off marks in written examination. Candidates need to secure minimum cutoff marks in written examination to progress for next stage of selection process. Alternatively, you can also go to the Official Website of Railways. Stay tuned to get more updates on RRB ASM Notification 2018 and stay updated!